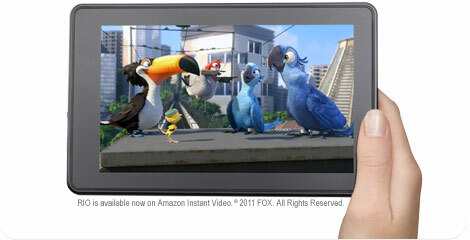 Amazon announced earlier this week the release of new kindle devices and I thought you might be interested! I’m actually very impressed by this new browser, I guess they are trying to compete with all the tablets out there. I don’t know how user friendly it is, but the price is very interesting! Personally, I own the kindle 3G with keyboard and I like it, but the new Kindle Fire is down right amazing, has any of you seen it? Bought it? I’d really like to know what you think! None of the others tempted me b/c I really love my current kindle with the keyboard. I mean I really actually use the keyboard and I'm not to into the touch screen stuff especially for an ebook. Sweet Mariya! You have to come back and let me know if you like it once you receive it! I have the Kindle 3G too but the Fire really does look great. I have the original Kobo from a few years back and right now it's sufficient for my needs; but once I have more time on my hands?? These are really awesome prices! 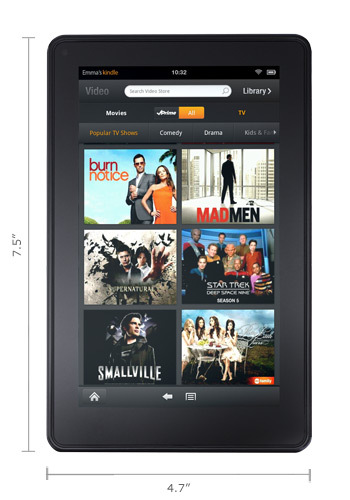 I want to get one soo badly, my kobo takes forever to load! Anything that makes ereaders more commercially viable is okay by me! I'll probably be sticking with my Sony ereader and iPad, but I have lots of friends who love their Kindles. Love these deals, I just bought my Dad one for Christmas, I just could not pass up the low prices of the original Kindle's.